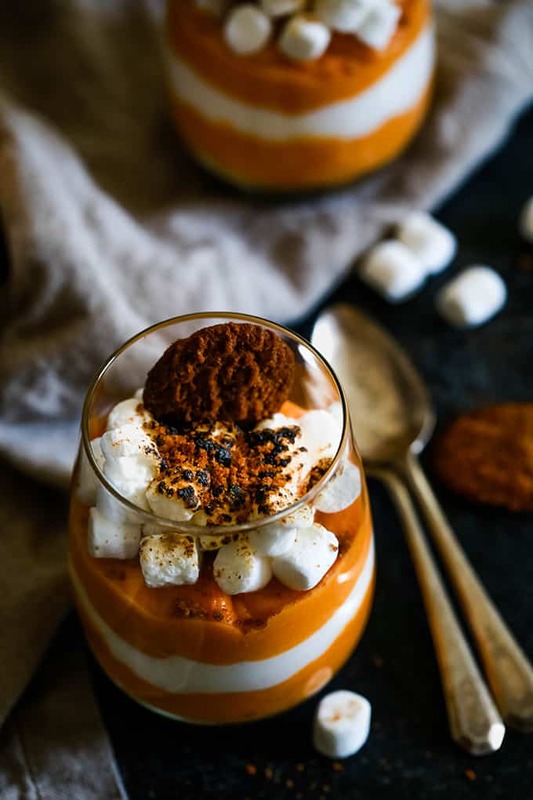 These individual Gingersnap Sweet Potato Mousse with Homemade Marshmallow Fluff desserts are the perfect layered holiday dessert. Original content posted November 2017. Updated November 2018. Now that the calendar has turned to November, I’m all about Thanksgiving prep. I’ve gathered up my food magazines, my Thanksgiving binder (yes, I have one) and I’m ready to start planning my menu. 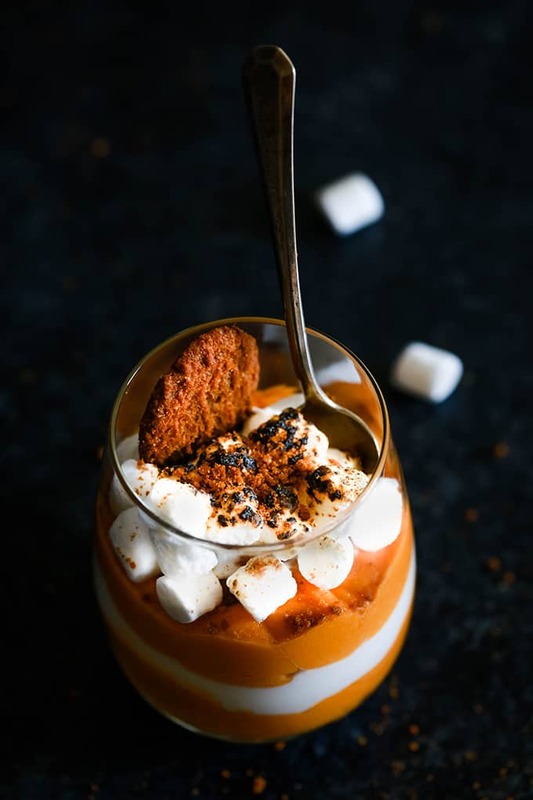 I usually add one to two new dishes to my menu each year and this year, and one of those new dish spots has already been reserved for this Gingersnap Sweet Potato Mousse with Homemade Marshmallow Fluff. Sweet potatoes always have a starring side dish role at our Thanksgiving table in my Make Ahead Sweet Potato Casserole, but this year I wanted to try including them as a dessert option. But not as a pie. To predictable. And for some reason, the thought of sweet potato pie just never sits well with me. 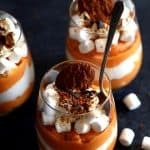 Instead, this Gingersnap Sweet Potato Mousse with Homemade Marshmallow Fluff is similar to my beloved side dish with the lightly sweetened sweet potatoes and mini marshmallow topping, but also includes additional layers of flavor that truly makes it standout from the other options on the dessert table. These individual desserts first begin with a layer of crushed gingersnap cookies which provide a delicious and contrasting crunchy, spicy flavor to the rest of the dessert. Next comes a smooth and luscious sweet potato mousse that’s light and airy and flavored with brown sugar and vanilla. 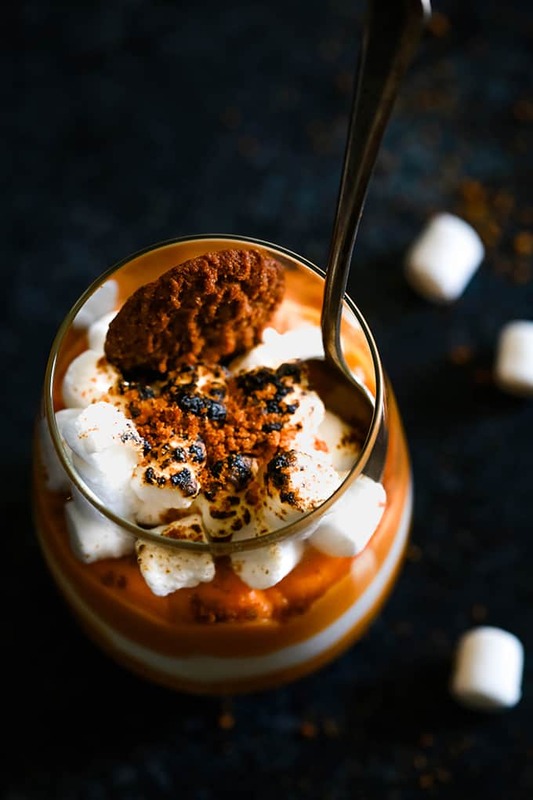 But the next layer of this Gingersnap Sweet Potato Mousse with Homemade Marshmallow Fluff earns the honor of being my favorite. I have three words for you, my friend. Homemade. Marshmallow. Fluff. Marshmallows are an everyday sweet treat and a staple for holiday recipes, so why not include two layers of them in a dessert, I say? This homemade marshmallow fluff is so insanely easy that I’m wondering why I’ve never made it before. You simply add six cups of Campfire® Mini White Marshmallows and two tablespoons of corn syrup to a bowl and take it for a quick spin in the microwave. You then stir the mixture together with a spatula and TADA! Homemade marshmallow fluff. It’s like a fluffy cloud layer sandwiched between two layers of sweet potato of mousse. I mean, how can you go wrong?! Campfire® has fun, festive marshmallows for every season, I mean, check out their Cherry Roasters that I put to use in my Cherry Cola S’mores Brownies. But those Mini White Marshmallows are classic for a reason and absolutely perfection in this holiday recipe. 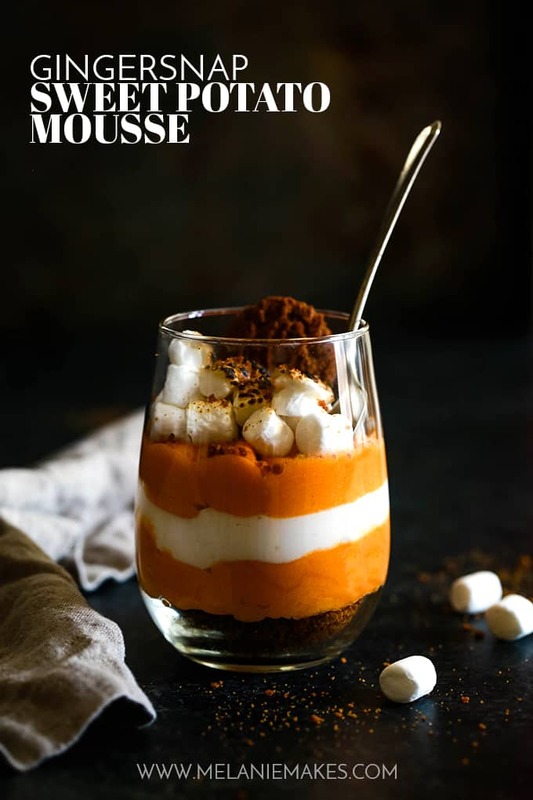 And of course, to make it a true sweet potato dish in my eyes, a sprinkle of said Mini White Marshmallows sits on top of the second layer of mousse and is then lightly toasted or charred – depends on how heavy handed you get with your kitchen torch! – and then sprinkled with additional crushed gingersnap cookie. 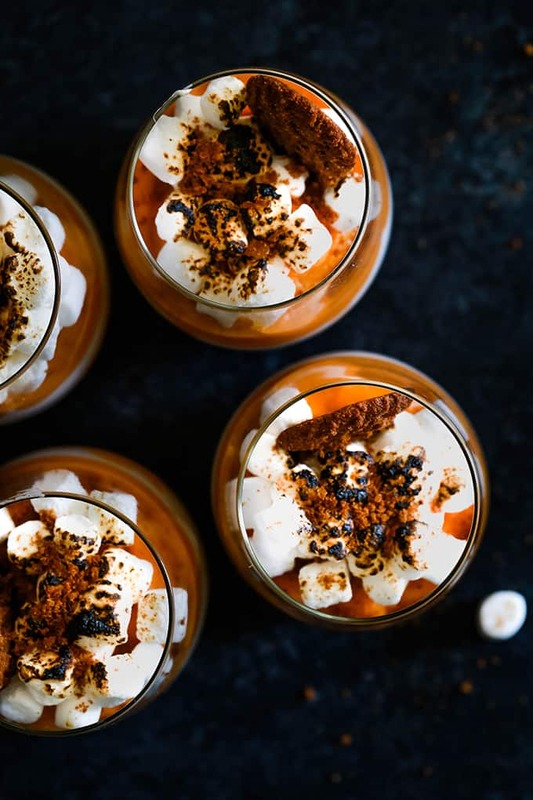 In other words, this Gingersnap Sweet Potato Mousse with Homemade Marshmallow Fluff needs to be on your Thanksgiving menu, too. 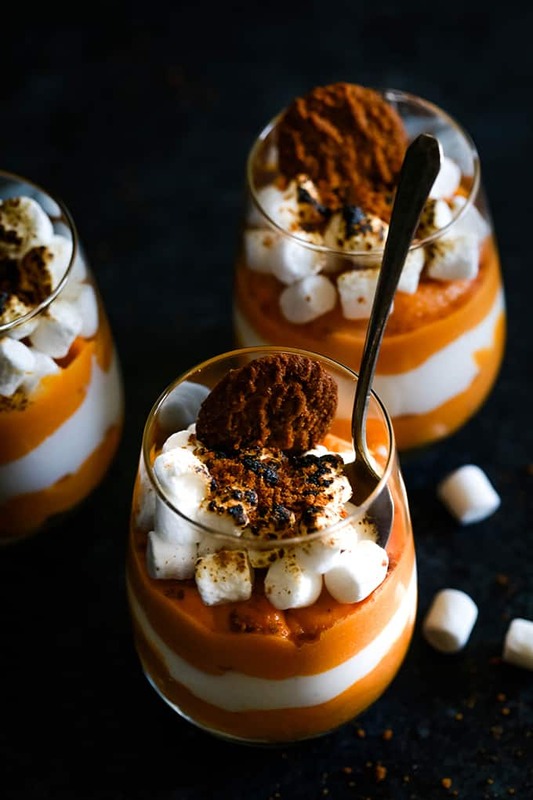 These individual Gingersnap Sweet Potato Mousse with Homemade Marshmallow Fluff desserts first begin with a layer of crushed gingersnap cookies. Next comes a smooth and luscious sweet potato mousse, followed by a cloud of homemade marshmallow fluff and another layer of mousse. The finishing touch is toasted mini marshmallows and more crushed gingersnaps. In other words, the perfect layered holiday dessert. Line 9x13 pan with foil and place on lowest rack of your oven. Prick sweet potatoes with a fork several times and place them directly on middle oven rack. Bake sweet potatoes for one hour. Turn oven off and leave potatoes in oven for an additional 30 minutes. Remove potatoes and allow to cool completely. Peel and place potatoes in bowl of food processor. Process potatoes until nearly smooth. Add 1/2 cup whipping cream, brown sugar, vanilla and cinnamon. Continue to process until smooth. Transfer to a large bowl and set aside. Add remaining whipping cream to bowl of an electric mixer fitted with a whisk attachment and beat on high speed until soft peaks form. Gently fold whipping cream into sweet potato mixture. In eight small glasses or jars, add 1/4 cup of crushed gingersnap cookies each. Spoon half of sweet potato mousse into the jars evenly. In a large microwaveable bowl, add 4 cups of miniature marshmallows and corn syrup. Immediately stir to combine with a silicone spatula. Add marshmallow fluff to glasses, dividing evenly. Spoon remaining half of sweet potato mousse into jars, dividing evenly. Sprinkle 1/4 cup of miniature marshmallows over mousse in each jar. Using a kitchen torch, lightly char marshmallows just prior to serving. Looking for other ways to include sweet potatoes in your holiday meal? These decadent Melting Sweet Potatoes, fluffy Rosemary Sea Salt Sweet Potato Rolls and flavorful Sweet Potato Gratin with Goat Cheese, Parmesan and Thyme would all be delicious choices. You could even enjoy them for breakfast with this so easy Sweet Potato Toast! 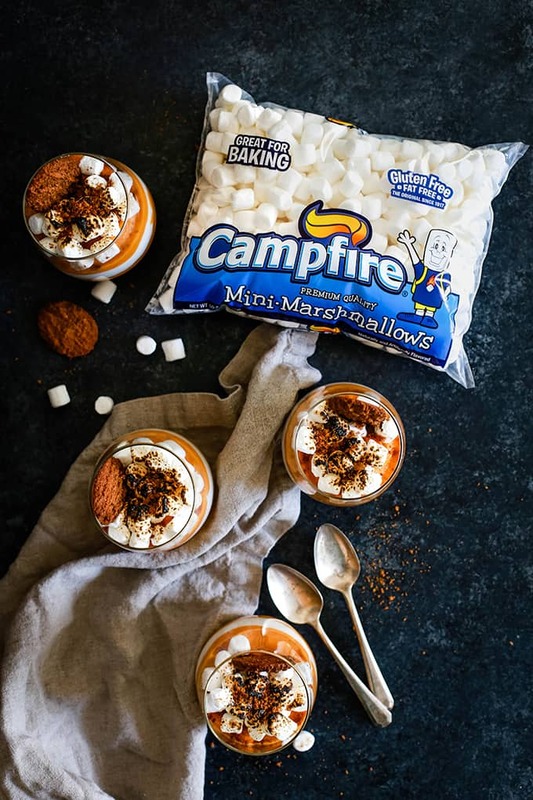 Be sure to follow Campfire® on Facebook, Instagram and Pinterest to see more great marshmallow recipes! This is such a great idea to make a sweet potato mousse! Look so inviting! This is a delicious idea for Thanksgiving! Sure to be a hit with everyone!! Thanks, Lora - it's so fun for everyone to have their own dessert! Wow, what a wonderful dessert. I think my children will be delighted with this. I like this! It sounds delicious. I️ just drooled. Cannot wait to try this! This is so creative. Love it. Mmm is a great dessert for my family. I love it! I am going to try this out. Thank you for sharing this great recipe. YUM! 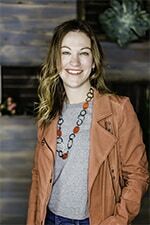 Can't wait to hear what you think, Mahy! I want to DIVE right into that mousse! It looks to die for! These look delightful!!! I want them! This looks like such a tasty dessert! What a unique and pretty dessert to serve for Thanksgiving! I'll bet the gingersnaps and sweet potato go great together. Woah! I've never had sweet potato mousse! This looks incredible! Loving the toasted marshmallows topping! I think that the ginger snaps and the sweet potatoes are such a smart combination! Thanks, Dorothy! I love the combination of sweet and spicy together in a dessert! So cute how you have served it! I bet this would be a hit! You're so kind, Kalyn - thank you! Thanks, Rebecca - it definitely earned a spot at our holiday table!